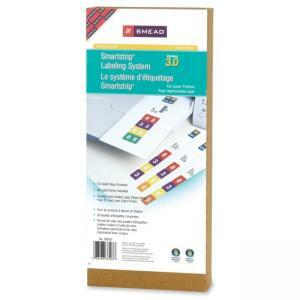 Create an efficient end tab color-coded filing system using your PC and ink-jet or laser printer. Gain efficiency without the expensive and time-consuming task of applying individual colored labels to folders. Simply enter your label data and click to print a single label strip complete with color coding, bar code and text. Choose from 19 different alpha and numeric label designs. Each label form also includes eight bonus labels (two top tab folder labels and six alert or index labels). Use optional bonus labels for organization within individual files. Choose your own category headings and colors to design a custom index label, alert label, top tab folder label, or a bar code label. 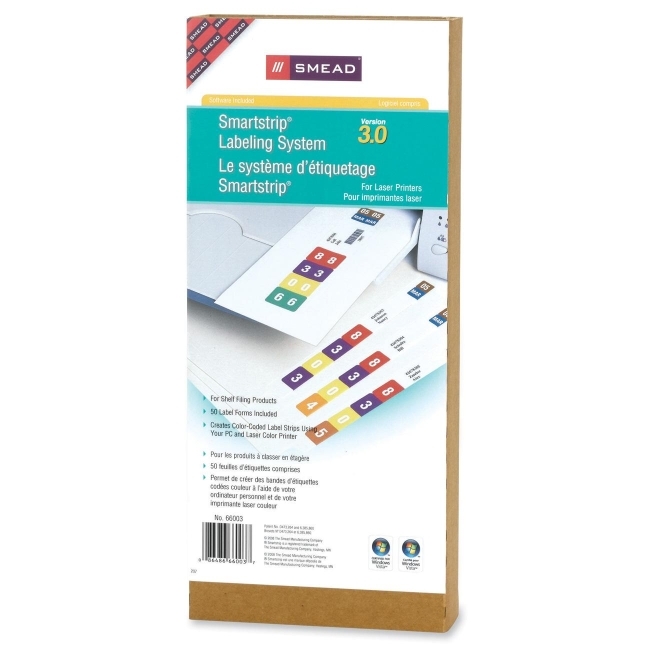 End tab strip labels are 7 1/2" x 1 1/2" flat.